Kaspars Freimanis, creator of the company Sauna Hat, uses his sauna in Latvia once or twice a week and always wears a hat. A hat in the sauna may seem counterintuitive but not according to Kaspars. 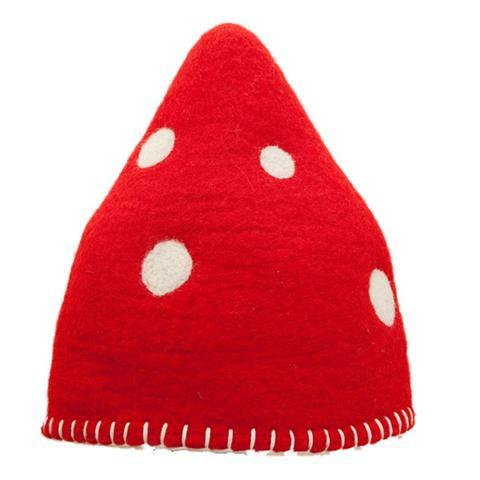 He says that a quality wool hat has the best insulating properties for keeping the heat from the sauna off you head. 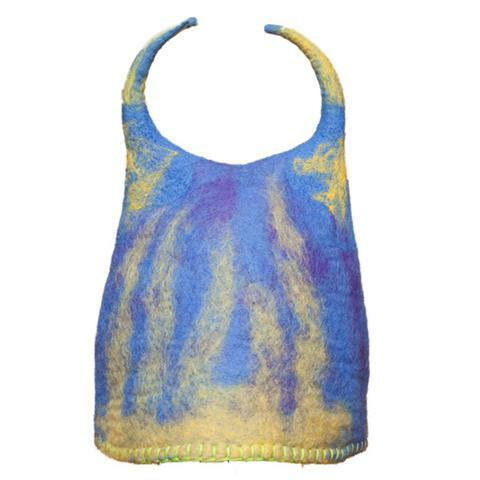 This will help you to be able to stay in the sauna longer and will protect you hair and ears from frying in the heat. Hats were traditionally worn in the Russian Banya, but sauna users internationally are catching on to the style and attraction of Sauna Hats. 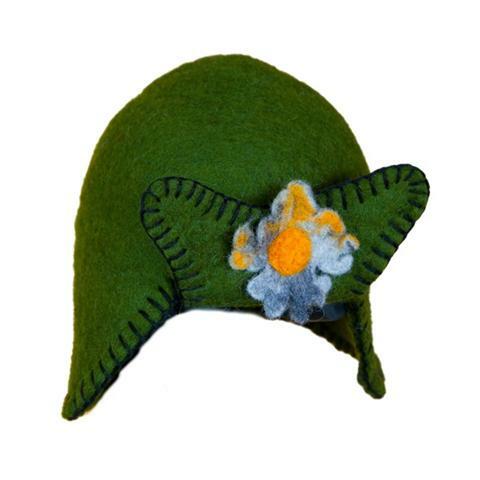 Though a towel may suffice for casual sauna users the handmade charms of Kaspars hats are hard to resist. When I asked Kaspars where he found his design inspiration he said, “we do not need to think about design, design is everywhere,” and he gets most of his inspiration from nature. Visit the Sauna Hat Homepage for more information and remember when sauna hats are not being used in the sauna they are evocative street wear. 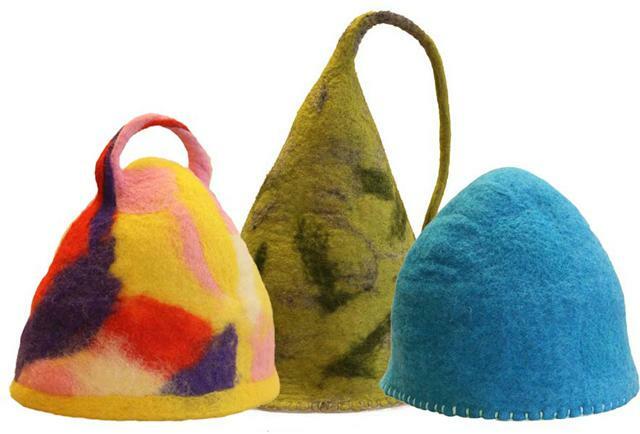 To see sauna hats in action check out the Seattle’s Banya5 or Forest Hills Spa in Queens. 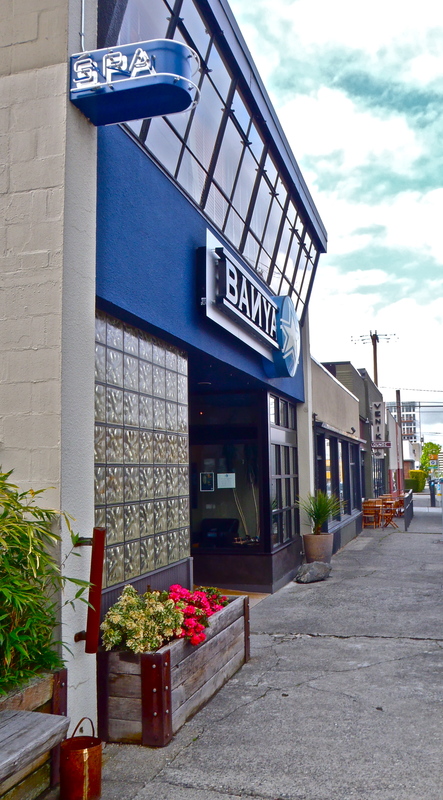 Banya5 is Seattle’s premier Russian sauna experience. It is self-described as an “extreme environment,” and with the sauna, or prilka, at 200 degrees they are not joking around. After initialing in at least five spaces and signing the waiver in the reception area I was able to watch a short video detailing spa specifics. I learned that, like their Scandinavian neighbours, the Russians also alternate between hot and cold temperatures to heat and cool the body and regulate the heart rate. The difference is that Russian hot is HOT! I was there for the real Russian experience, so after I changed into my bathing suit I walked passed the other tempting facilities (salt pool, hot tub, cold plunge and steam room) right into the sauna. After only 7 minutes I was cooked to the point where I felt like combustion was imminent. I walked the few paces to the cold pool and plunged in. Time to do it again? Absolutely! Personalize your experience at Banya5 by booking a massage or a scrub. You can also enjoy a cup of tea or lemon water in the upstairs lounges perfect for napping, chatting, or reading. Just don’t expect a perfectly solitary retreat. With its modern industrial design this place is quite hip and social. It gets packed on weekends and in the evenings. Bring friends or join the regulars after your soak for a bit more of Russia at the vodka bar next door: Venik Lounge. Presently, I live in a city with no hot springs, and this means that pursuing my passion always requires large financial and time commitments. So, when I have an itch to soak I pour myself a bath and read about where I could be instead. 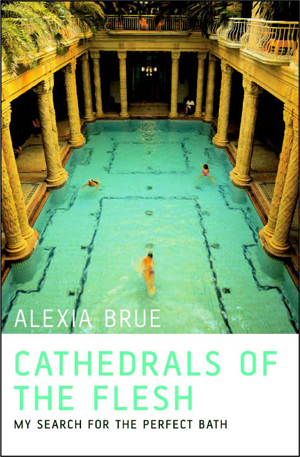 Cathedrals of the Flesh by Alexia Brue is a good memoir for the tub. It’s the story of young woman’s fore into cleansing and sweating rituals worldwide. Brue writes about her international cleansing expedition, that takes her to Turkey, Russia, Finland, and Japan. There are beautiful descriptions of her travels, and the history and culture around bathing in these countries. Most importantly, to dreamers and would-be jet-setting bathers, she is very informative about the rules, practices, and social courtesies of bathing in the present. 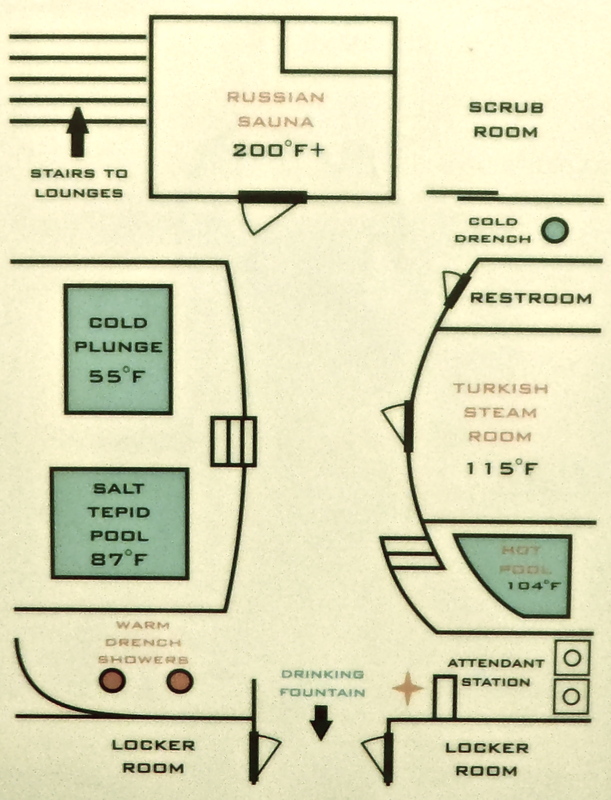 Brue shares her ecstasies and blunders in the baths and saunas of the world, and now, I feel that I could enjoy a Russian banya or a Turkish hamam with more grace than I might have otherwise. If you liked Elizabeth Gilbert’s Eat, Pray, Love then you will find this book is entertaining. It has all the same adventure, passion, and personal quest elements of a globe-trotting woman on a mission, but better because it is about bathing. On the other hand, if you like to stick to facts, then consider the cultural tips and travel ideas supplementary material to Internet browsing.